We propose a methodology for system specification and verification based on UML diagrams and interpreted in terms of graphs and graph transformations. Once a system is modeled in this framework, a temporal graph logic can be used to express some of its relevant behavioral properties. Then, under certain constraints, such properties can be checked automatically.The approach is illustrated over a simple case study, the so-called Airport Case Study, which has been widely used along the first two years of the AGILE GC project. 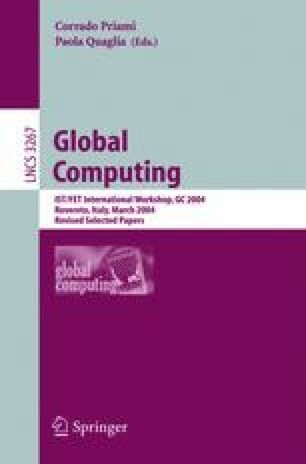 Research partially supported by the EU FET – GC Project IST-2001-32747 agile and the EC RTN 2-2001-00346 SegraVis.